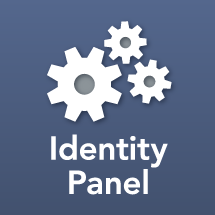 NOTE: This class assumes you are running Identity Panel in production, you are relying on an integrator to architect and deploy Identity Panel for you, or you have attended A820 - Identity Panel Architecture, Providers, & Deployment. Training course A850 is a gateway course from user, administrator, engineer, or architect to becoming a report writer or developer. In this course, you learn the language of Identity Panel, Service Panel, and MIM DevTest known as the Rule Engine. Training course A821 - You must have attended course A821 to attend this course. Therefore, you must be an expert in one of these applicable domains or subject matters to attend this course. One you have your VM, you will connect to it using your computer's Remote Desktop (RDP).